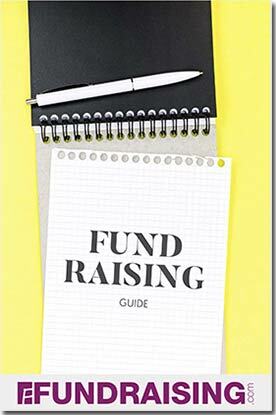 Here’s our list of recommended fundraising ideas. They’re all good, but some may be more appropriate than others for your group, so we suggest you read them all and decide which one will work best for you. Immensely popular, cookies have replaced other ideas as the fundraiser of choice in many parts of the US and Canada. With the new pre-portioned variety and the large selection of gourmet cookies, it’s easy to see why. One of the great things about selling magazines is you can have repeat customers year after year. Plus, you don’t have to store or deliver anything, and now you can do it all online. That means no more knocking on doors. There’s no money to collect and no product to deliver. Your supporters don’t want magazines? No problem. They can choose from several other popular products too. If you’re looking for a product fundraiser, candy, and especially chocolate – such as Kathryn Beich, Katydids, Hershey, Chocolatiers, Nestle and One Dollar Bars – has always been one of the best programs. It’s inexpensive, extremely popular (so it’s easy to sell), and there’s lots of profit built in. They’re customizable, inexpensive and easy to sell. Plus, they’re fashionable and popular. The margins are high so you’ll earn a lot of money for your group and you’ll keep your cause in the minds of your supporters since they’ll wear your message on they’re wrists. Not only do you get to help your lovely planet Earth by recycling things like empty printer cartridges, cell phones and other electronics, your group will learn about ecology and earn money at the same time. Plus, it’s easy, free and can continue indefinitely. They’ll send you the collection boxes for free and even pay for the return shipping.